One of the most effective, and dangerous, Trump allies is House Intelligence Chair Devin Nunes. Nunes, for reasons unknown, has put his career on the line — and our safety — in order to derail the Mueller investigation and save Donald Trump, to hell with finding out what Russia actually did to undermine our election. And he’s at it again. At the end of this Nunes Update I’m going to ask you to contribute to the campaign of Nunes’ Democratic opponent, Andrew Janz. But first a bit more background. Now, you may recall that Nunes is the good fellow who in March 2017 ran to the White House to brief Trump on new evidence he “found” that Obama administration officials had “incidentally collected” and “unmasked” Trump campaign officials. In fact, the White House “found” the information, gave it to Nunes, who then held a press conference claiming “he’d” found it, and then Nunes ran to the White House to brief them on the information they had surreptitiously given him. It was all a huge scam. In the end, there was no smoking gun, and Obama official Susan Rice it was determined did nothing wrong. Nunes’ next stroke of genius to release the much-ballyhooed “memo” about the FBI secretly surveilling former Trump campaign adviser Carter Page AFTER Page left the Trump campaign. Page, you’ll recall, had all sorts of creepy Russia contacts before and during the campaign, and the FBI was concerned that he was a Russian asset. In an effort to brand the entire Trump-Russia investigation as tainted, Nunes claimed that the warrant used to spy on Page — the FISA warrant — was inappropriately issued. We were told, falsely, that the warrant was based on the Steele dossier, when in fact, the Steele dossier was one small part of the larger presentation to the FISA judges (who were all Republican appointees). We were also told that the Steele dossier had been debunked — it hasn’t been — and that the dossier was the entire basis of the Trump-Russia investigation — it wasn’t. Trump-Russia began when Trump campaign aide George Papadopoulos bragged to an Australian diplomat in London that a Russian intermediary told him the Russians had hacked emails relating to Hillary Clinton. Papadopoulos and the Trump campaign didn’t even bother informing the FBI. Once the Nunes Memo was finally made public, all of Nunes’ claims fell. Then Nunes, as head of the House Intelligence Committee, issued a “final” report on Trump-Russia, without interviewing scores of key witnesses. The “final” report determined that Russia had no intent on helping Trump win the election. In fact, everyone, including the GOP-run Senate Intelligence Committee, agrees that the Russians tried to help Trump win. 1. The man is ruined as a future FBI informant. 2. The man’s life could be at risk. 3. Future potential FBI informants are going to think twice about the FBI’s promise to keep their names secret. 4. And more on point, future potential FBI informants interested in turning state’s evidence against Donald Trump are going to think twice about the FBI’s promise to protect them. And now, because of course Trump got involved, claiming repeatedly (and falsely) that the FBI embedded a spy on his presidential campaign, and demanding that the FBI investigate its own investigation, the FBI is having to sit down with Nunes and fellow House Republican Trey Gowdy on Thursday, where the FBI will provide access to secret documents about the information. No Democrats are invited. No Senate Republicans are invited. Just Nunes the Red and Trey Gowdy, who used to be nuts (he of Benghazi fame), but now that he’s retiring seems to have found a modicum of sanity, so Gowdy is the wild card here. One additional benefit to Trump of all of this: Nunes can then brief Trump and his defense team, so they’ll know what information the FBI has on Trump. As I said at the outset, Devin Nunes is Donald Trump’s most effective ally in Congress. Nunes has made it his mission — for reasons no one has quite figured out (is Nunes himself compromised?) — to derail Mueller’s Trump-Russia investigation. And we need to make it our mission to defeat Devin Nunes at the ballot box in November. One thing folks need to understand about elections. Yes, we need to vote on election day. But we also need to get involved NOW to ensure that Democrats win and Republicans lose in November. That means donating to good progressives who are taking on bad Republicans, like Andrew Janz taking on Devin Nunes. They need your support now — not ten days before the election, now. Andrew Janz is a great progressive taking on a god-awful Trump-Republican. 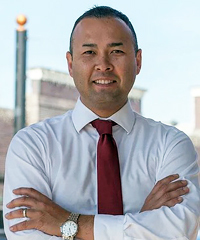 In addition to be no fan of treason, Andrew Janz is pro-choice, pro-immigration, pro-healthcare, pro-Dreamers and pro-DACA, pro- gun control and pro-education. And Janz is giving Nunes a run for his money. Please donate and support Janz’s campaign now. As Devin Nunes’ interference makes clear, one of the best ways to stop Trump is by stopping his enablers in Congress. 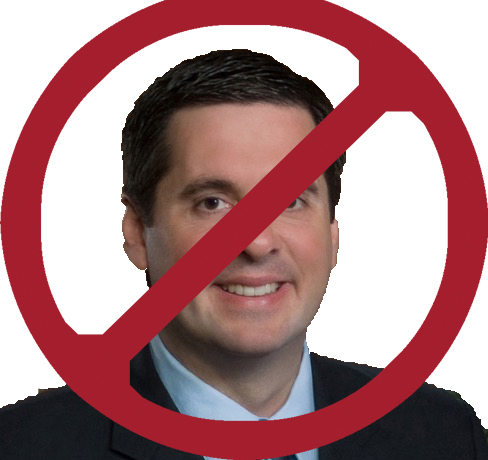 By getting rid of Devin Nunes, and taking back the House and possibly even the Senate, we not only stop people like Nunes from running interference for Trump, we also take over the reins of power, and the subpoena power that comes with it. That means that every Trump-related controversy that arises — from his ongoing graft, to his leaks of classified info to the Russians, to, most importantly, his election collusion with Russia, the Saudis, the Emiratis and more — all of that can and will be investigated by Democratic-run congressional committees. But that will only happen if we win. And we will only win if you help. So please donate to Andrew Janz’s campaign to defeat Treason-Weasel Devin Nunes. And thanks. Independent journalism and activism is more needed than ever. Please support my work with a $25 donation. We don’t make much on advertising, we need your support to continue our work. Thanks.